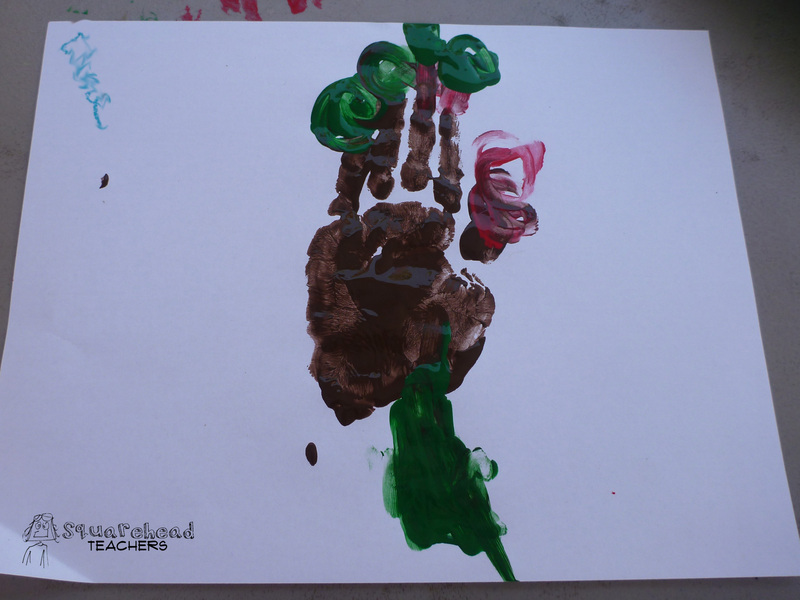 This idea randomly came to me when I was working with some kindergartners a while back. 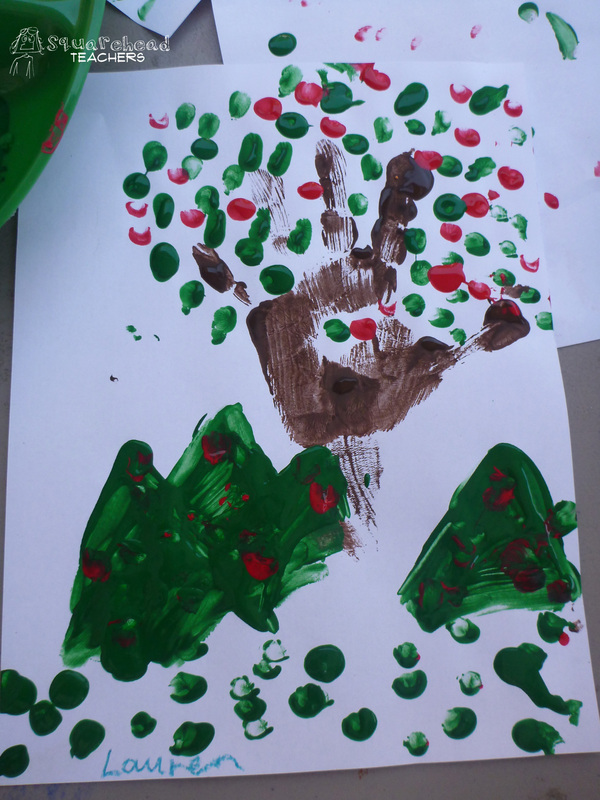 Some of them turned out better than others, but the kids had fun getting to finger paint! 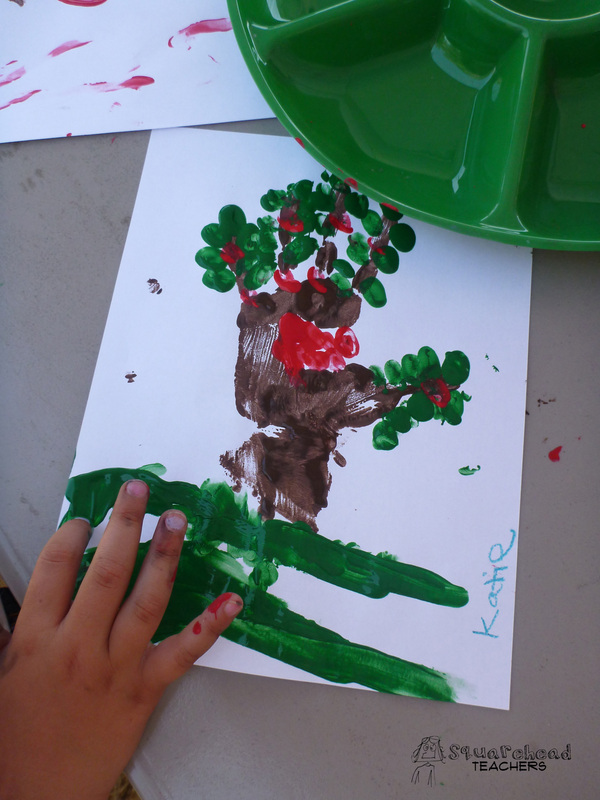 It seems like it would be a fun summer craft too! 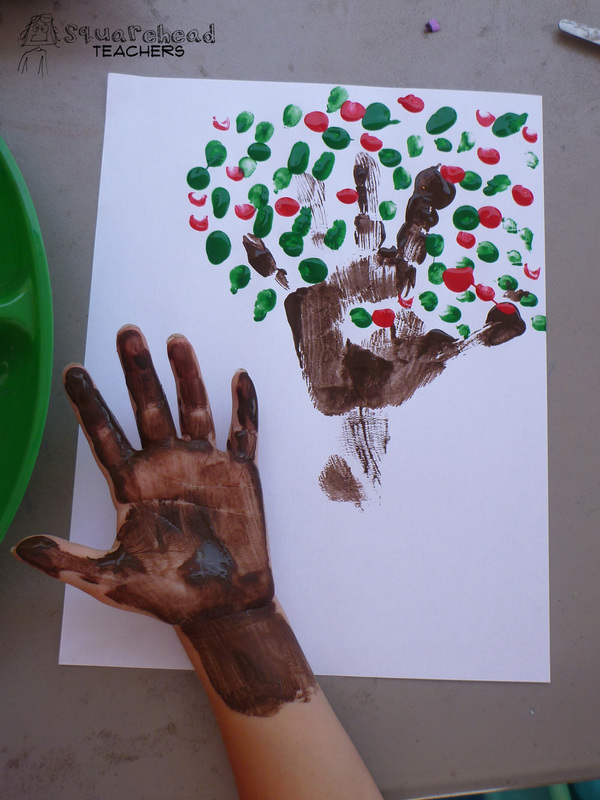 Here’s what you do: Paint the child’s hand brown from fingertips to a few inches below the wrist (paint their non-dominant hand). 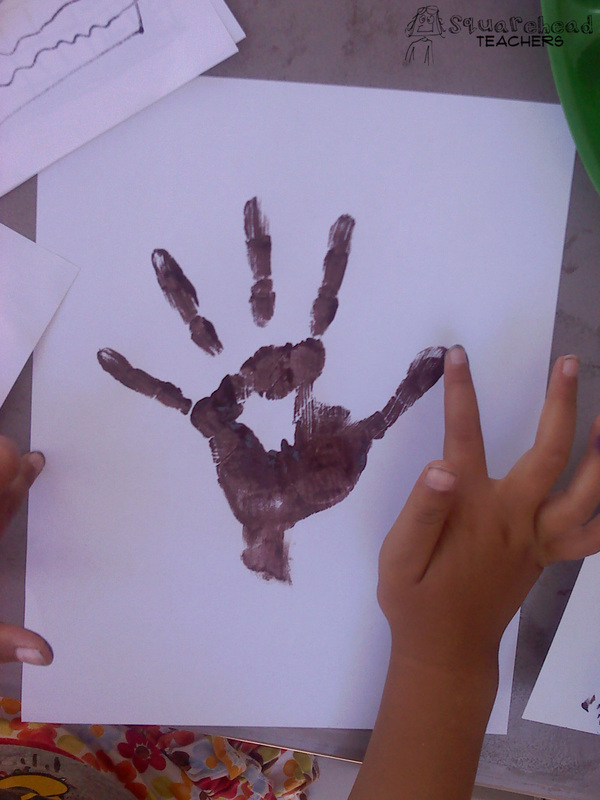 Have the child press their hand against plain paper (construction paper works best). 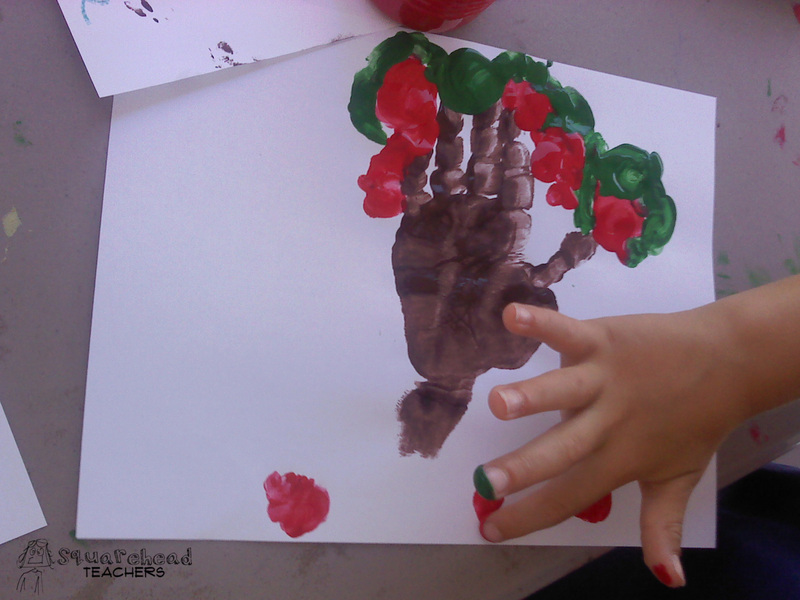 Then let the child use their dominant hand to finger paint leaves, apples, grass, etc. on the rest of the paper. Ta-da! You’re all done! 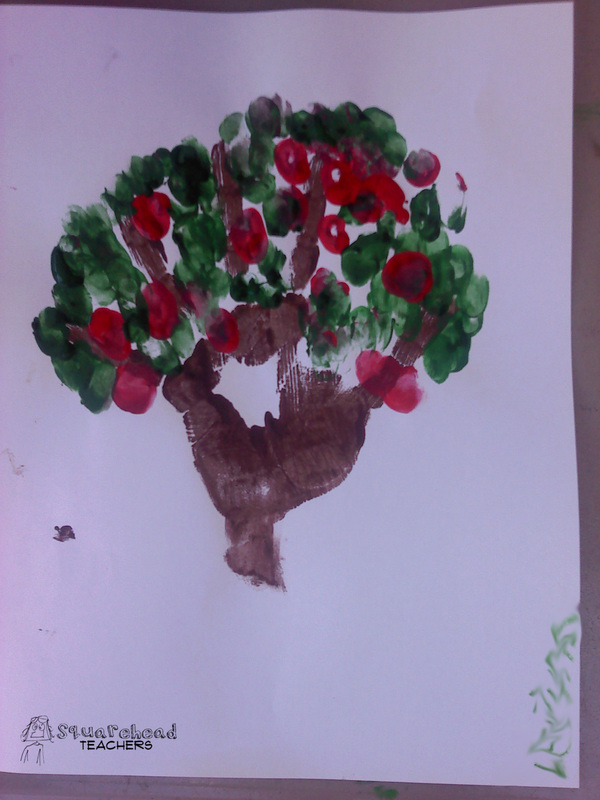 This entry was posted in Art/Crafts, Summer and tagged Art/Crafts, Children, Education, Elementary School, Homeschool, Kids, Teacher Resources, Teaching by Squarehead Teachers. Bookmark the permalink. I know my son would absolutely love this!